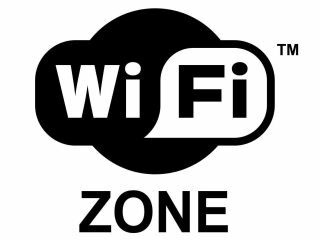 Swindon has been chosen as the UK's first 'free Wi-Fi' town, with the destination to be equipped with a £1 million wireless network. Called the 'Swindon mesh', the Wi-Fi network will contain 1,400 access points, distributed around the city to give residents complete access to an internet signal for free. The idea was put forward this week by a company called Digital City UK – a company created in conjunction with the council and two private companies (aQovia and Avidity). Digital City UK hopes to make its money back by offering speed upgrades to residents who want a better broadband experience. The 'free' access will, however, be good enough to log into most sites, barring those that demand high-speed internet access – like video-streaming and film download sites. Those who want more speed can sign up for a 20Mbps upgrades that will be under the price of what the competitors can offer. There will be free three-month trial for the high-speed broadband open to anyone resident who wants it. And if you are just passing through the Wiltshire town, the hubs will be opened up on a pay-as-you-go basis. "This is a truly groundbreaking partnership which will have real benefits for everyone living in Swindon," said Rod Bluh, Council Leader. "Not only will residents in the borough be able to access the internet for free, the council and its partners will be able to use the technology to provide cutting edge services to the areas or individuals who need them. He continued: "Digital City will also provide the Council with a unique funding stream and it is our intention to use our expertise to help other local authorities follow our lead. This is the future of England we are talking about." Work on the Swindon mesh is set to start in December with the free Wi-Fi rollout estimated to take place April 2010.